9335 FRENCH MANITONE DYNA KEY:(20KB) This key has a very simple design with adjustments for both the contact spacing and the spring tension. 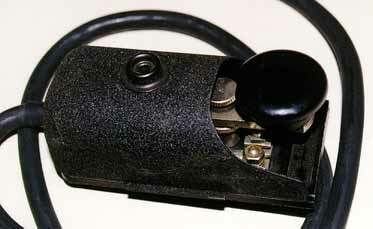 9375 ITALIAN PANEL-MOUNTED RADIO KEY:(15KB) This key mounts on the front panel of a military radio set. 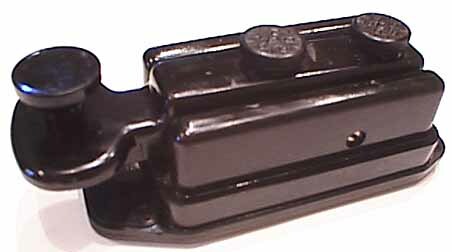 The lever shorts out the key contacts for tune-up or direction finding. 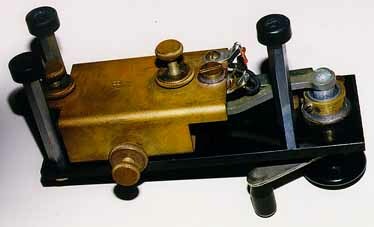 9747 ITALIAN TELEGRAPH KEY FOUND IN EGYPT:(23KB) I purchased this key in Cairo in 2000. 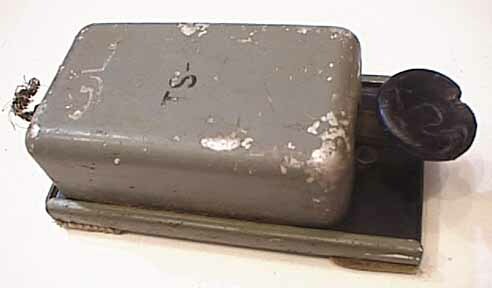 It is the first key that I have been able to find in Egypt. 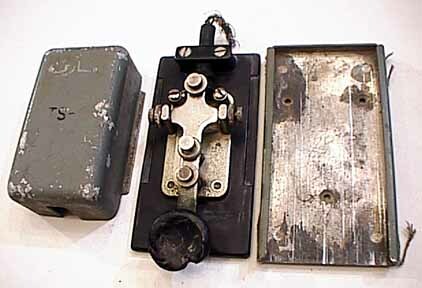 It consists of a telegraph key mounted on a bakelite base, a metal cover, and a metal sub-base which has the remains of canvas straps which were used to strap it to the operator's leg. 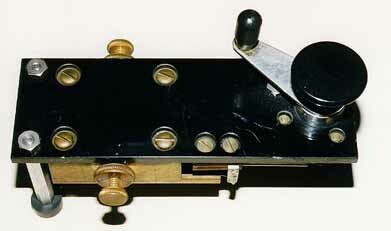 The mechanism of the key is very well made and quite unusual. 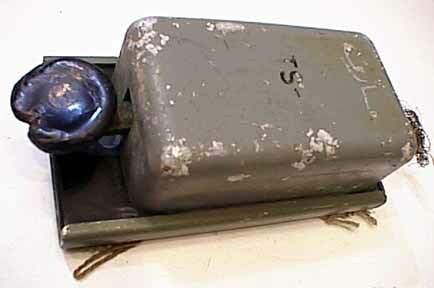 An operator has scratched his name in the cover in Arabic letters. 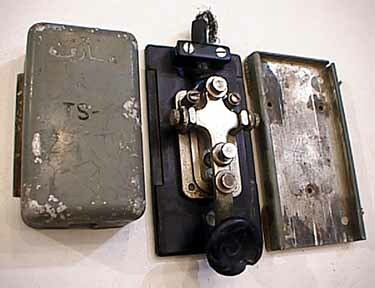 In 2001 I was informed that this is a Yugoslavian Army telegraph key and not Egyptian, that the letters ''TS'' stand for ''taster'' or push button switch, and that it is model TS- In 2006, I was informed that it is an Italian Military telegraph key made for the Army by an Italian company named Iret which is no longer in business.